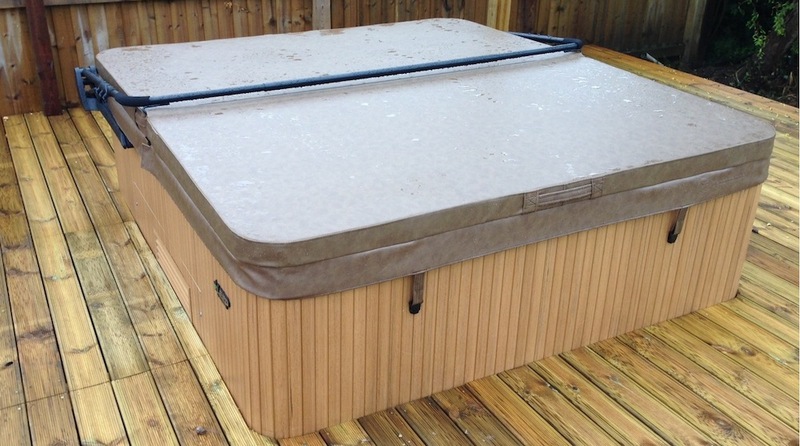 If your hot tub, spa or swim-spa cover has become very heavy or water is pooling on the surface now is the time to replace it. Please don't delay as your existing cover will have lost almost all its thermal properties and will undoubtedly be costing you much wasted energy and money! Nobody makes it easier for you to order your new cover! We are the only company that doesn't (genuinely) require measurements for a vast range of makers and their models, as long as you know the make, model and year of your hot tub & it is shown on our drop-down menu above. Just select 'Get a hot tub cover with no measurements' above. It's so easy to order on Coversfortubs.co.uk. If you don't know your make, model etc. 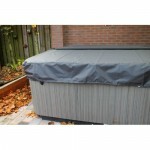 then select 'Get a hot tub cover with your measurements' OR 'Get a swim-spa cover with your measurements' above. During the hot tub cover order process you also have the unique option to select 'Yes, help me choose my specification' and by answering a few simple questions we will show the ideal specification for you! If you need any assistance please just call us on 03336666555 - seven days a week. 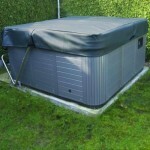 Hot Tub, Spa & Swim-spa Covers generally fail due to the ingression of water into the insulation 'core'. Many hot tub cover manufacturers use a 'bogstandard' plastic wrap to encapsulate the 'core' because it's cheap and 'easy' to work with. We don't! Our encapsulation wrap is more chemically 'resistant' and will survive the exposure for longer. However, following legislation changes in 2010 the types of 'wraps' able to be used where they are in close proximity to certain chemical groups (including Chlorines & Bromines) has been restricted due to CFC emissions, so in northern European climates like the UK where the outside vinyl lasts longer because UV exposure from the sun (or lack of it!) isn't an issue, you should add Double Encapsulated Core (double vapour barrier) to extend the internal life-span of the cover by delaying the ingress of water and consequential heaviness. We supply our covers to customers throughout the UK & Europe - from the south of Spain to the north of Sweden; different locations & circumstances will affect the specification of the cover that you should ideally order. With continuous price rises in the costs of electricity, many customers are increasingly mindful of the potentially high running costs of their hot tub and are looking to reduce these costs by purchasing the right cover. NEVER buy a cover on price alone - remember there are two aspects to a cover purchase - the initial outlay of course BUT more significantly the on-going SAVINGS ON ELECTRICITY COSTS! Spending a little more on your cover initially can save you a small fortune year after year in the electricity consumed. NOTE: - For UK owners who have their hot tub switched on (regardless of whether or not it is used) during the winter months, the most popular specification purchased is with the options of DOUBLE ENCAPSULATED CORE & LEVEL 2 PREMIUM INSULATION. 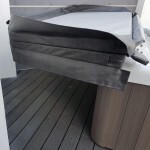 If you are 'focused' on reducing running costs to an absolute minimum add an Energy Guard 500 Geo-bubble floating cover to your order - this sits on the water surface below the main hot tub cover and saves energy by virtually eliminating loss by evaporation & condensation as opposed to loss by radiation which the main cover is used for. An additional bonus is increased life-span of the hard cover as the floating cover limits the effects of chemically charged steam on the vapour barriers.